It was the matchmaking event of the 2017 Hawaiʻi Agriculture Conference. More than 70 local farmers and distributors took part in the first-ever Grower-Buyer Meet-Up. HPR’s Kuʻuwehi Hiraishi reports. Kona farmer Angelica Stevens set-up her table at the Grower-Buyer Meet-Up with a basket full of samples. Angelica Stevens of Home O Kahalu'u Farm waits patiently for her next potential buyer. Stevens runs her family’s 8.9 acre farm in Kahaluʻu where she grows fruits, vegetables, Kona coffee and teas. But Hawaiian plant seeds are her niche. “We’re basically they only place in Hawaiʻi where you can buy pili grass seed,” says Stevens. Every ten minutes a new buyer comes along. Next up is Derek Kurisu from Big Island-based KTA Super Stores. He already knows what he wants from Stevens. Unfortunately for her, it’s not the seeds. Kona farmer Angelica Stevens hands out samples of her pili grass to potential buyer Derek Kurisu of KTA Super Stores at the 2017 Grower-Buyer Meet-Up. 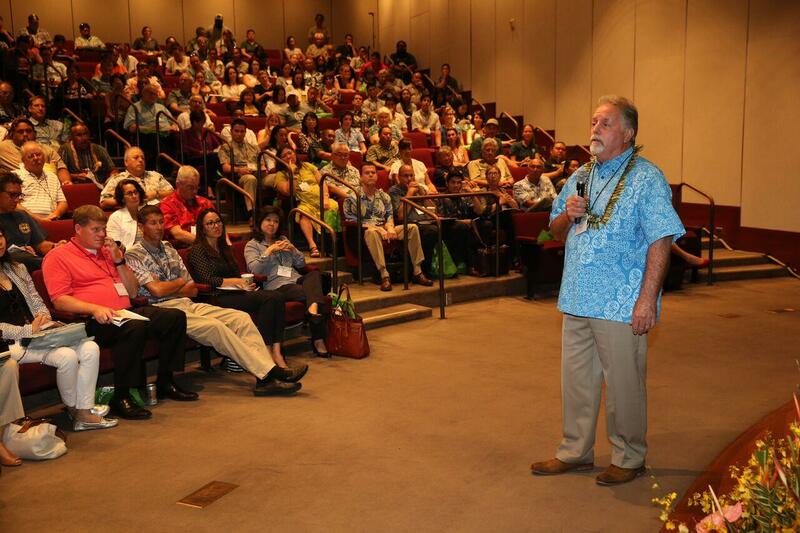 Scott Enright, Chairperson of the state Department of Agriculture, addresses attendees at the 2017 Hawai'i Agriculture Conference. “I’m kind of excited about the teas. So do you know the health benefits of these things?” asks Kurisu. “I do. So popolo leaf is for pneumonia, bronchitis,” replies Stevens. Stevens wows Kurisu with her knowledge of the health benefits of her teas. The two talk distribution, packaging, and once the ten minutes are up agree to meet again. “You know, it’s all about creating demand for buy local,” says Scott Enright, Chairperson of the state Department of Agriculture. The Department of Agriculture is one of the sponsors of the conference. 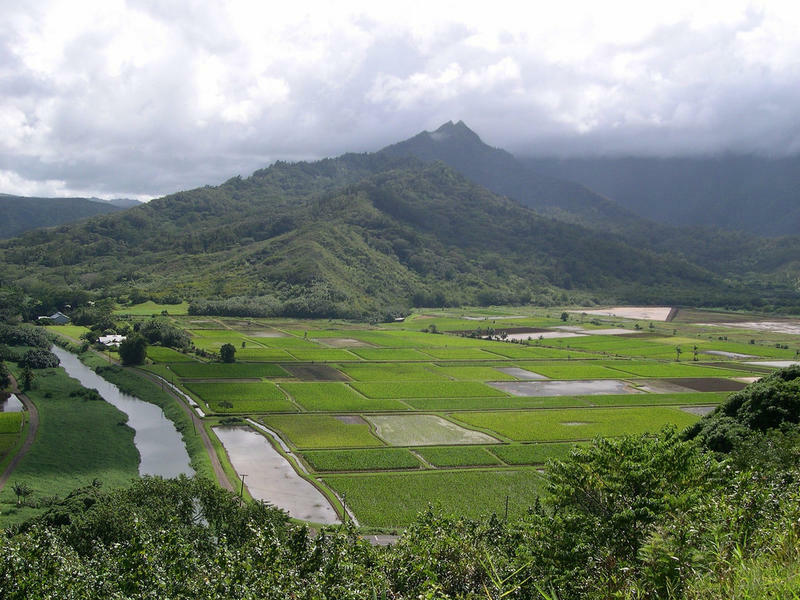 According to his calculations that includes $94 million for local farmers like North Shore farmer Dave Burlew of Mālama ʻĀina Organic Farm, preferred to forgo traditional distributors. North Shore farmer Dave Burlew grows a variety of vegetables on 10 acres in Punalu'u and Kahuku, O'ahu. CSA or Community Supported Agriculture is a distribution model where subscribers receive a CSA box of produce every week. 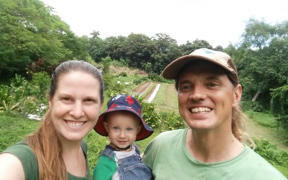 Melissa Mainz of 808 Organics is known for her CSA boxes. Mainz was hoping to add some small Oʻahu farmers like Burlew to her list of producers. 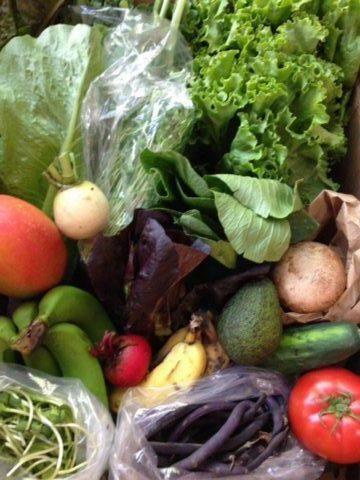 808 Organics' CSA Gourmet Box costs $30 per box and includes a mix of vegetables, greens, and fruits, plus eggplant, arugula, and more. Hunter Heavilin was on the prowl for both buyers and growers on Oʻahu to populate his online matchmaking service Farm Link Hawaiʻi. Here’s the feedback he got. “A lot of interest from people on other islands about, ‘Are we ever going to expand operations there?’” says Heavilin, “There’s certainly interest. 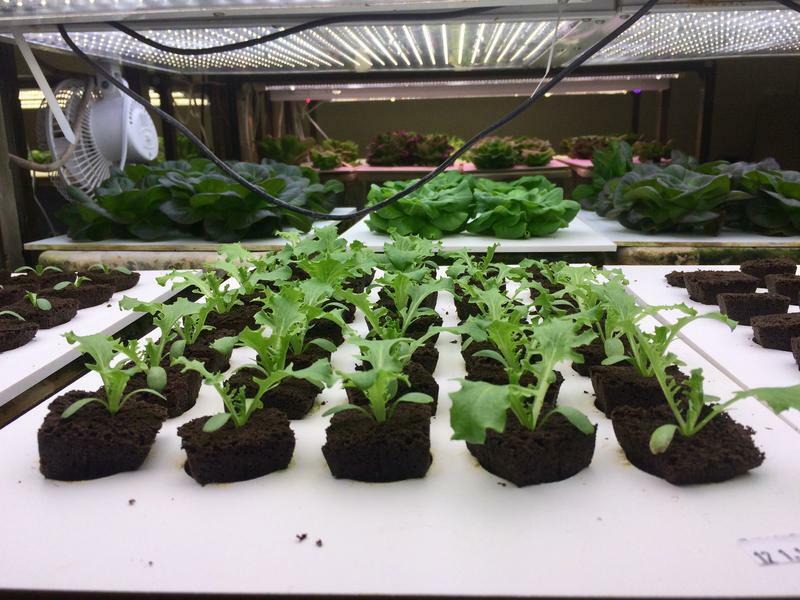 So I think what it speaks that the opportunities that technology affords that connect small producers with new markets”. Giving these local growers and buyers an opportunity to continue today’s matchmaking conversations online. 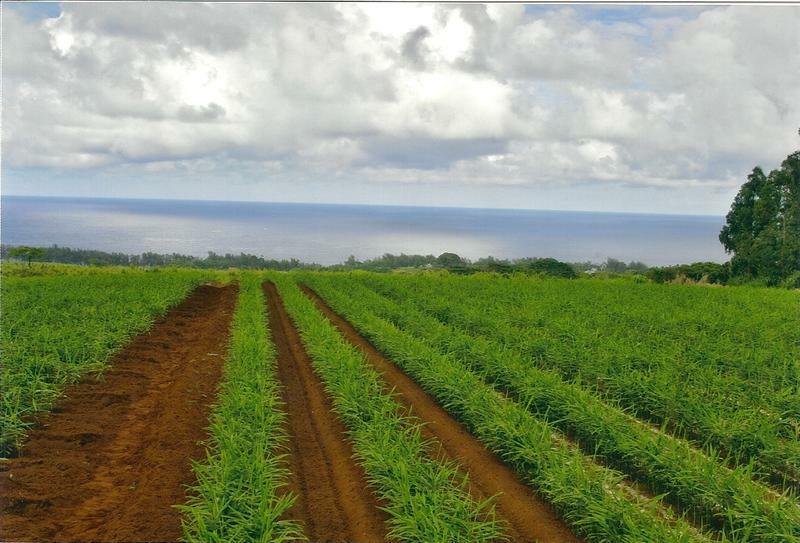 Demand for farm land is so great in Hawai‘i, Aloun Farms is trying to speed up its sale of acres in Central Oahu. Pacific Business news editor in chief A. Kam Napier, has more. Between the high rise buildings and industrial warehouses, a farm is the last thing you’d expect to find in urban Kaka‘ako. 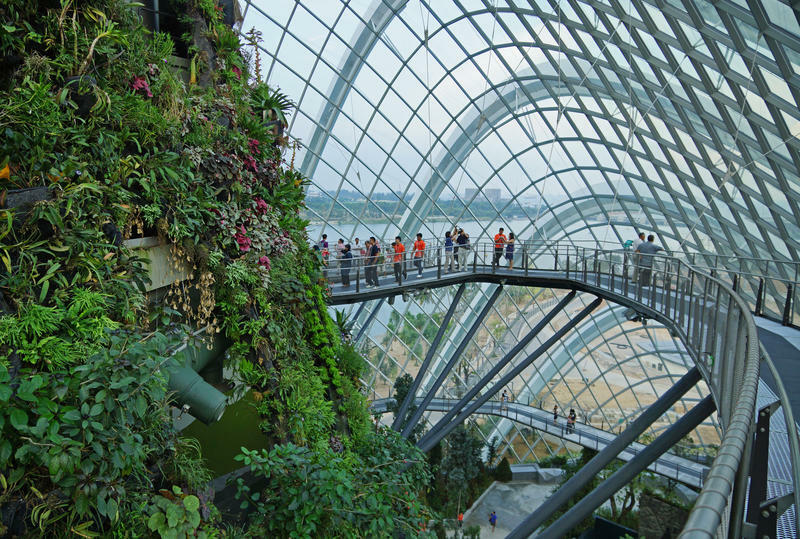 But one business is creating a space for growing food in an unexpected way.